Go on a fantastical journey across feudal Japan, through time and unknown fantasy lands, accompanied by a snow monkey and an origami samurai warrior. 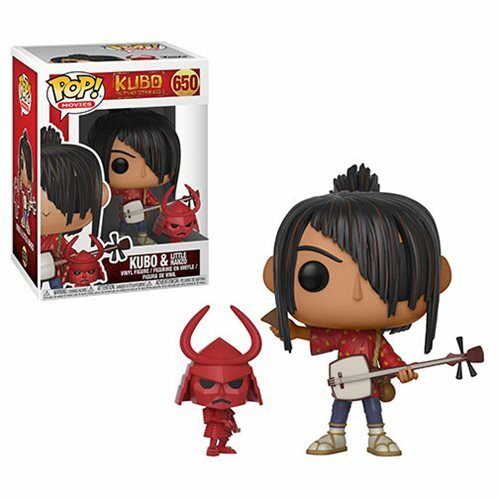 This Kubo and the Two Strings Kubo with Little Hanzo Pop! Vinyl Figure #650 measures approximately 3 3/4-inches tall. Comes packaged in a window display box.